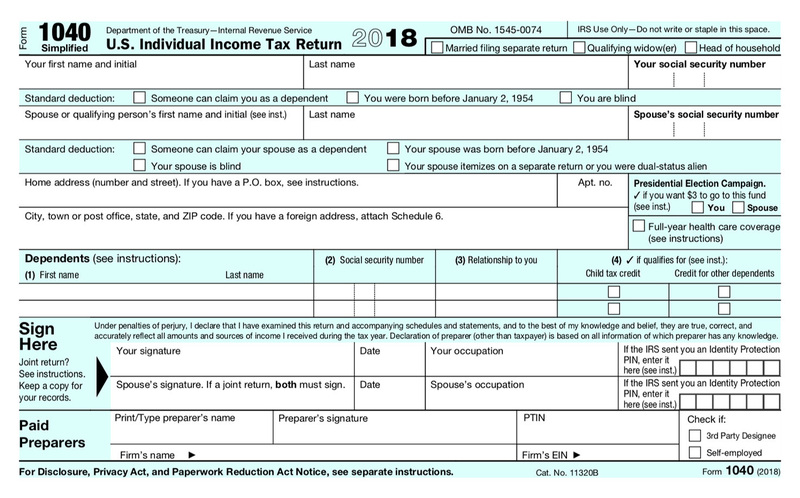 The IRS and Treasury released the new income tax return, known as Form 1040. This postcard-sized form doesn’t necessarily simplify your filing: You still have additional schedules to calculate your credits and other breaks. Through May 11, the IRS received 126 million returns via e-file for this latest filing season. In all, it received 141.5 million returns. Your postcard-sized income tax return is here, but that doesn’t mean you should tune out on midyear tax planning. On Friday, the U.S. Treasury Department and the IRS announced new updates to Form 1040, the individual income tax return filers use. Though the form is now “postcard-sized,” filers will still need to pick through additional paperwork — known as schedules — in order to calculate their tax breaks, including the deductions for educator expenses and your health savings account contributions. “It’s going to take another envelope full of worksheets to get the form down to the size of a postcard,” said Tim Steffen, director of advanced planning at Robert W. Baird & Co.
“But the software is so good these days, most people can handle their taxes themselves,” he said. Indeed, of the 141.5 million returns the IRS had received as of May 11, about 126 million came in via e-file. Shrunken 1040 aside, it’s time to get cracking on your midyear tax planning and make sure you’re on track to head off a tax bill from Uncle Sam next spring. Here’s what you should review with your accountant in light of the changes stemming from the Tax Cuts and Jobs Act. In previous years, it may have made sense for wage earners to withhold less under certain circumstances; for instance, if they itemized deductions. That may no longer be the case, especially now that the standard deduction has roughly doubled to $12,000 for singles and $24,000 for married filing jointly. Start here with the IRS’ withholding calculator. The new tax code increased the standard deduction but curbed many itemized deductions. Those changes include a $10,000 cap on the amount of state and local taxes you can claim and the outright elimination of miscellaneous itemized deductions, such as unreimbursed employee expenses and investment fees. Further, since fewer people will be itemizing, look for tax-efficient ways to pay for things. One way would be to use your health savings account to pay for long-term-care insurance premiums if your balance is large enough to handle the expense, Freeman explained. Though you couldn't take a deduction for traditional IRA fees that you paid directly from the account, under the old law you were able to use other assets to pay those expenses and then take the deduction. If your time horizon is shorter and you're in conservative investments, it may make sense to deduct the fee directly from the IRA instead. WATCH: Have tax cuts helped the economy so far?